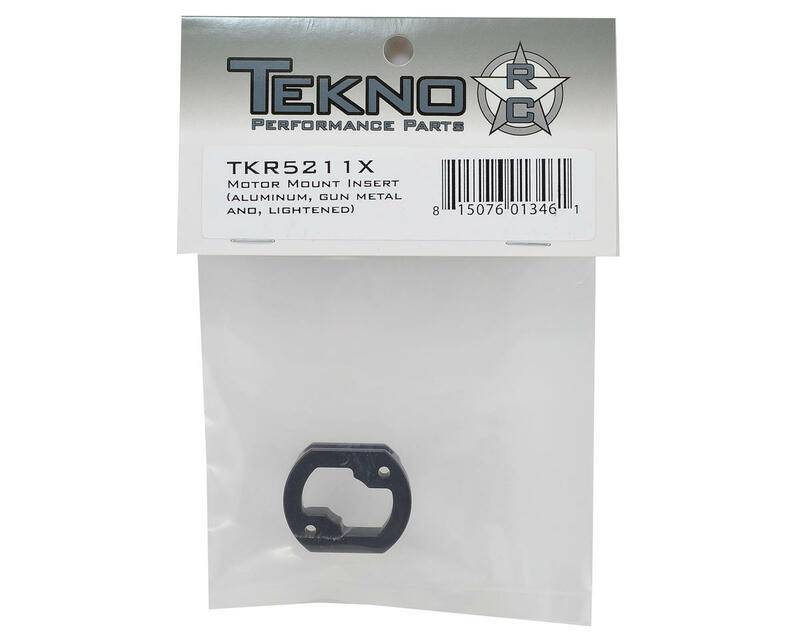 This is an optional Tekno RC Lightened Aluminum Motor Mount Insert, and is intended for use with the Tekno RC SCT410 4wd Short Course Truck. The Lightened Motor Mount (TKR5211x) Insert is machined from lightweight aluminum then gunmetal anodized for wear. 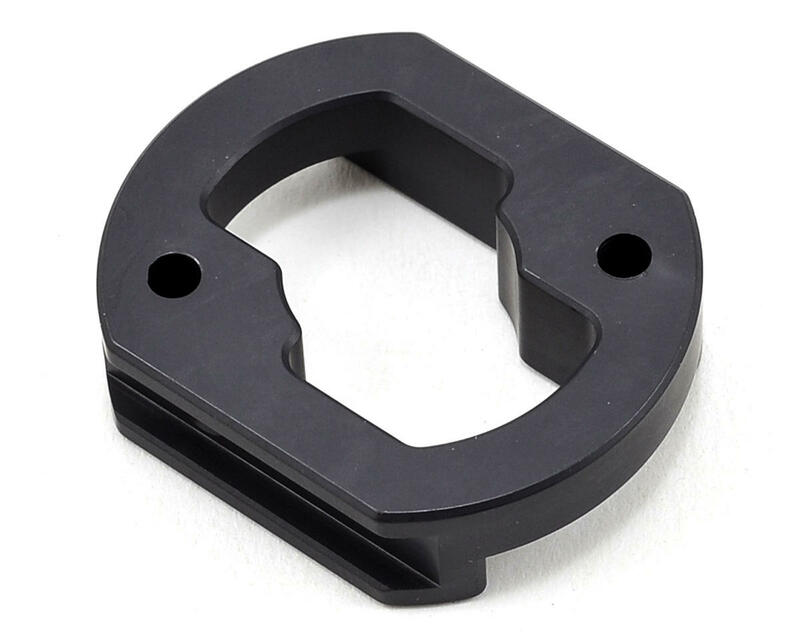 This motor mount insert will save you another 5 grams of weight and will finish off the gunmetal look. Great upgrade if you are looking to shave weight. I ordered it with my ET48.3 I got last week as it is noticeably lighter. Happy with my purchase and it will be going on any future Tekno kit I buy. I'm so happy with the quality of Tekno that not even 2 weeks after getting the Truggy I'm ordering the MT410!! Thanks AMain! I would highly recommend this part. It shaves off more weight than 5 grams if you compare it to the stock motor mount insert. It is not indicated for the EB48, but I would use it there as well. Just make sure it is lock-tighted down.